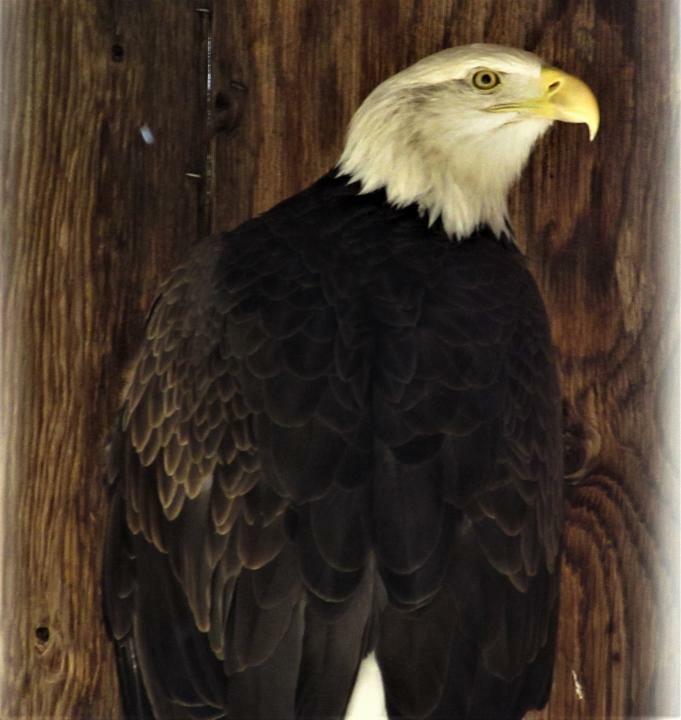 Adam is a 30 year old rescued Bald Eagle. He was never going to be able to fly due to a disabled wing which did not heal correctly. He is used to provide information on raptors and the rescue's efforts to rehabilitate and release them. I met Adam after I brought an American kestrel which I found injured on the side of the road. I named the kestrel Merlin and the rescue was fantastic at keeping me informed on his rehabilitation. Merlin was able to be successfully released towards the fall. I visit Adam every year and feel for him as he will never have a mate and never be able to migrate.